Amber was having terrible nightmares. It had been three weeks since an intruder had broken into her home to rob her family and had killed her parents in front of her eyes, and the killer is still on the run. 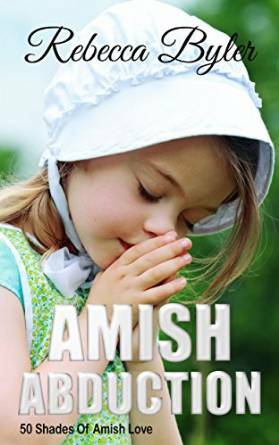 Mary has an Amish cousin where she is hiding from the killer and trying to recover emotionally and mentally. While she is staying with the Amish community, she is falling in Love with Aaron. But when Aaron almost gets killed while trying to protect Amber she does not want to see him anymore out of fear he might get hurt again. Will the Love between Amber and Aaron survive the threat of being murdered? Leah has everything she could have ever wanted: a warm home, a loving husband, and a beautiful little daughter. She feels beyond blessed with what Gott has given to her, but her world is more fragile than she could have ever imagined. After returning from a visit to her parents' farm, Leah's world is shattered when she discovers her loved ones are missing, and a mysterious note demands Leah returns the stolen silver or her loved ones will suffer. Leah does not understand the financial needs as she is poor, but she does know that she will stop at nothing to be reunited with her family. With the help of a friend, Leah braves the Englischer's world and becomes entangled in a deadly scheme of murder and betrayal. Will Leah and her love be strong enough to save those that she holds dear, or will she fall victim to the cruelty of the Englischer's world? Anna Jane is a careful, traditional Amish girl. She wants nothing more than to meet and marry a good man, and when an Englischer joins her community, she believes she may have met her future husband. Maxwell is handsome and kind, and Anna Jane quickly falls for him. However, Maxwell comes from a dark past: he was wrongly convicted of murder and served seven years in prison. Anna Jane knows him to be innocent, but her community is wary of him, and her parents are quick to forbid them from seeing each other. Anna Jane and Maxwell know they are destined to be together, but after there is a crime committed in the community, will Maxwell again be wrongfully accused? Will Anna Jane and Maxwell be separated for good?